A tunnel is a geotechnical building – underground or submerged – reminiscent of a long “corridor” that has its outlets on the surface of the earth. 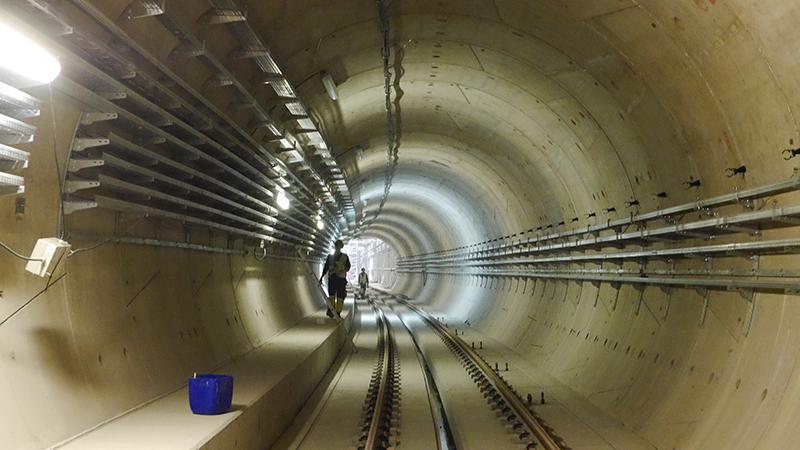 Tunnels are built in hard-to-reach places, including in the mountains or under water reservoirs, enabling efficient movement or to create collision-free communication lines. The longest tunnels are several dozen kilometers long. The tunnels are made with TBM drilling machines. 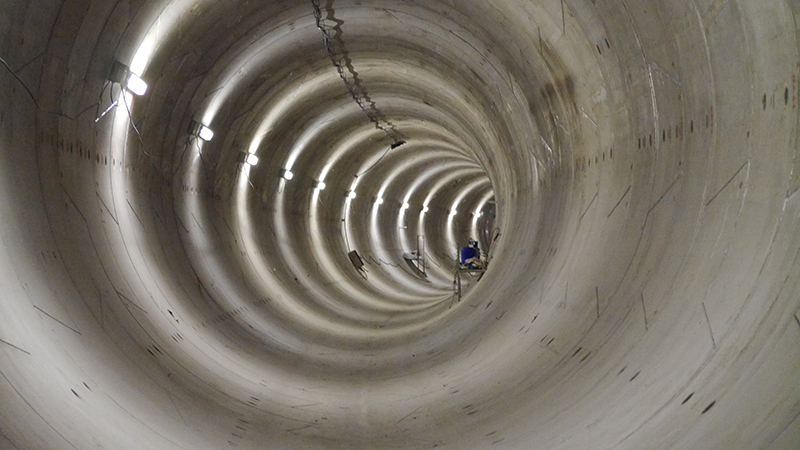 The tunnel consists of 1.5 m wide rings compressed with each other, and each ring consists of several (depending on the diameter) reinforced concrete prefabricated tubings. Due to the difficult conditions in which they are located, existing and emerging tunnels are exposed to the negative impact of moisture. In addition, intensive construction of buildings leads to their rapid wear. In order for the tunnels to serve users for decades, they should be taken care of and be protected against the destructive effects of water, manifesting themselves as water leaks on the surface of the tunnel. The waterproofing insulations protect the structure of tunnels against leakages that cause corrosion of concrete and reinforcing steel, stabilize the ground, stabilize the structure and increase its carrying capacity. 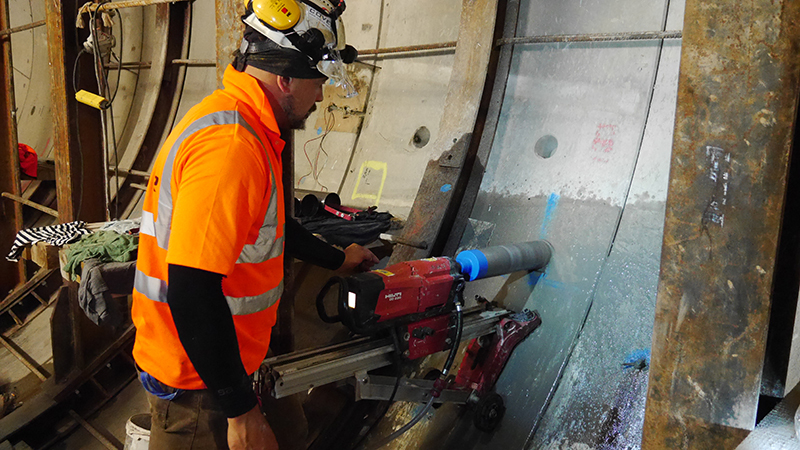 During the construction of the tunnel, due to the significant and variable hydrostatic pressure affecting the reinforced concrete tunnel casing, scratches and spills may appear in the structure – despite reinforcement, which leads to a reduction of the strength parameters of the tunnel elements. To avoid damage caused by leaks and progressive corrosion of the reinforcement, the scratches should be sealed and filled using specialized injection chemistry. Scratches dry, not leaking, glued with epoxy resin, wet scratches are sealed with polyurethane resin. Depending on whether the crack shows a tendency to change the width, injection products for strength bonding or elastic, bridging scratches are used. Another problem occurring in the construction of tunnels is the leakage of seals at the interface between prefabricated elements and leaks occurring at this point. In this situation, most companies use a well-known solution – curtain injection using, for example, acrylic gel for the tunnel casing. The COVER team, however, developed a much more efficient method – faster and less interfering with the structure. If you are interested in an innovative solution for sealing tunnels, please contact us at tel. +48 692 420 979 or e-mail cover@cover.net.pl. We seal tunnels both in Poland and abroad. Cover is a specialized construction company that specializes in the extensive insulation of the tunnel from the sealing of cracks, contacts of diaphragm walls, expansion joints through the entrance / exit portals of tunnels and transitions between tunnels to the tunnel casing itself. 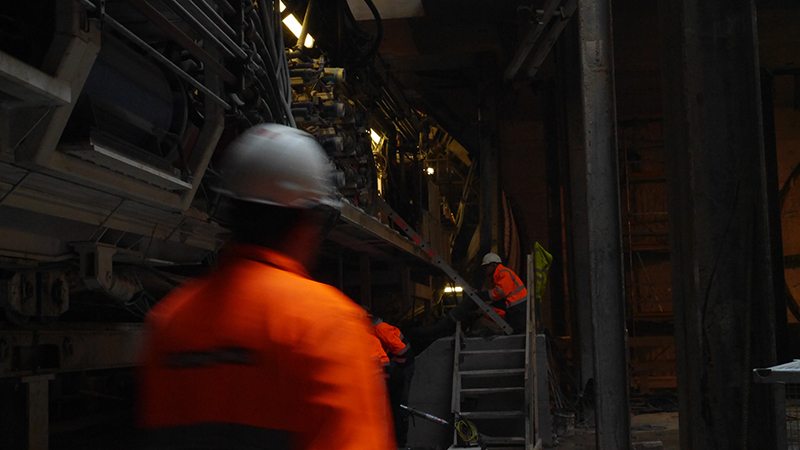 We work both during the construction of the tunnel (tunnel tunneling), as well as during modernization or service work. 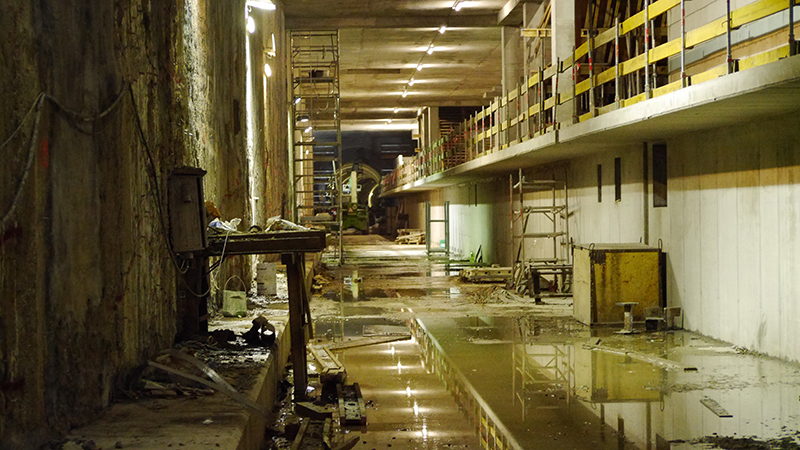 We have many years of experience in waterproofing tunnels, including those made by TBM. We use only certified and proven chemistry, because the waterproofing of tunnels places high demands on the sealing materials used. 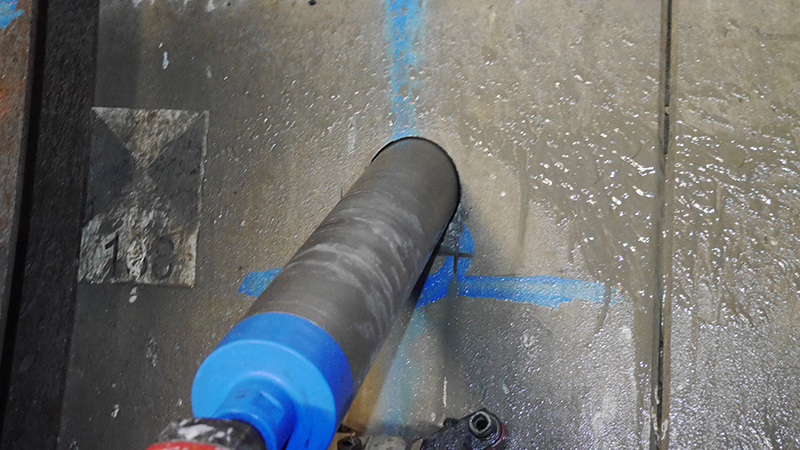 When sealing and renovating tunnels, we can encounter groundwater level problems, tunnel construction, geological conditions, which is why it is so important to be familiar with the various technologies of tunnel sealing and to choose the one that will guarantee the quick and effective performance of works. The reputation of our company and high professionalism is evidenced by our previous work in the field of tuneling. 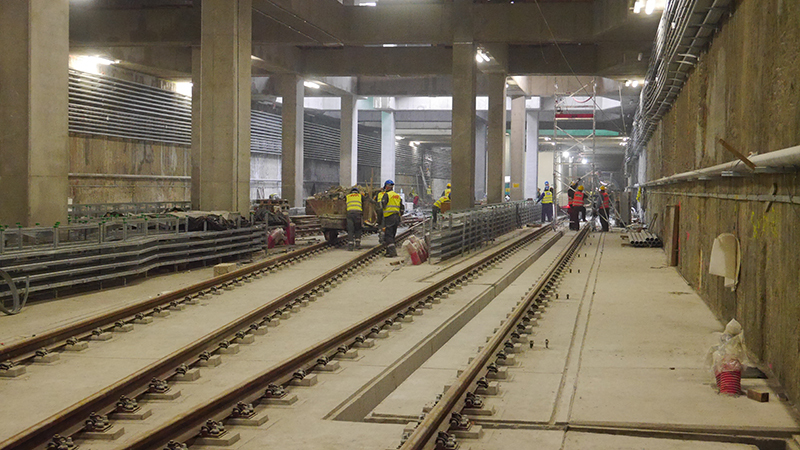 We work, among others in the construction of the Warsaw metro (the only one in Poland) and in the removal of leaks in the tunnel at the Martwa Wisła in Gdańsk. We have already made a seal of 9500 m of this tunnel and we are still working. total number of working hours is 165 000 and we’re still increasing processing capacity. we have used up to 500,000 packers so far. the rope, which we using to close the gap, you could wrap the Earth three times. 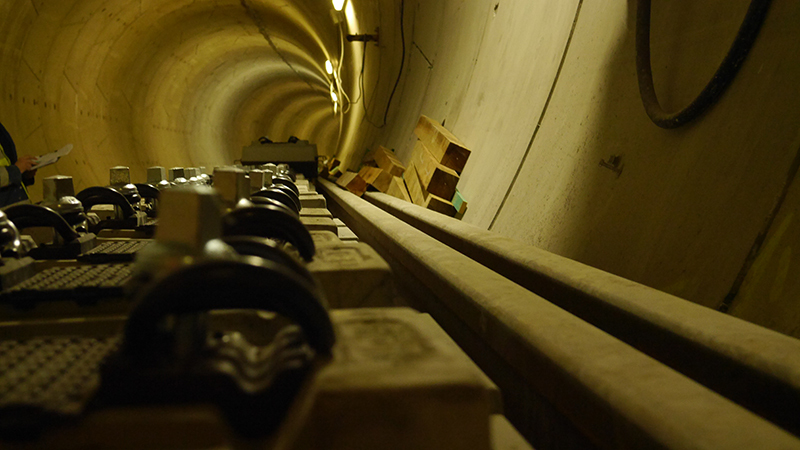 we have sealed more than 130 km of contact between segments of the tunnel casing. we used 120 tons of injections – acrylic gel. we work 7 days a week 24/7, and we have over 90 highly qualified employees at our disposal. In the case of international cooperation – we have an appropriate translator and we have conversations in English.